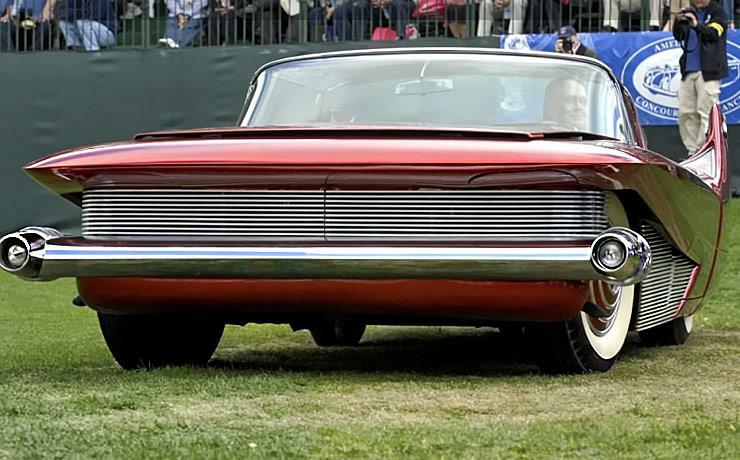 The DiDia 150 is an exotic custom-bodied, bubble-topped, tail-finned, aluminum-bodied, aluminum-chassised, diamond-painted, big-block-powered metallic red dreamboat. It’s a vehicle that is over-done in every detail and in every respect, an iconic dream car. 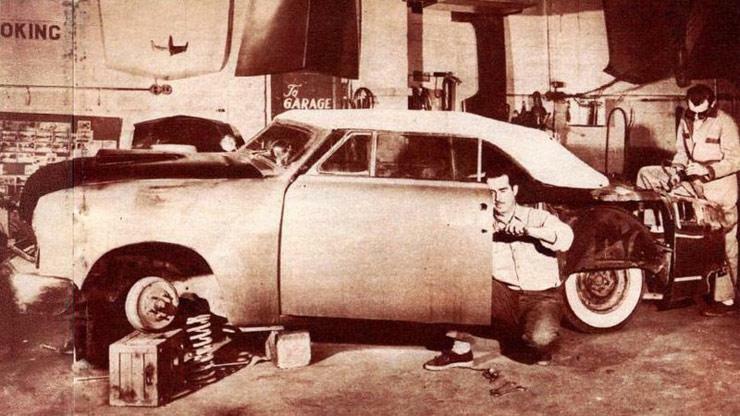 The car was created by Andy DiDia, a famous men’s clothier and only one example was ever built. 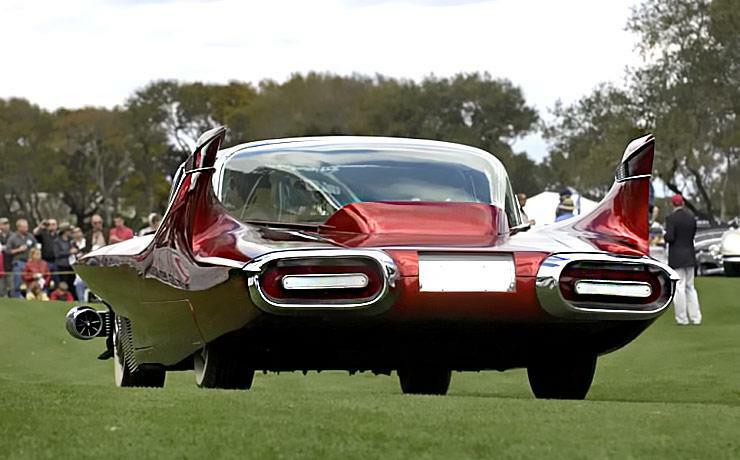 Although Andrew Di Dia was unschooled in the art of automotive design or engineering, an automobile he designed in 1953 was so far ahead of its time, it looked modern when it debuted in 1960. It was one mans’ dream, constructed with his own limited funds over a period of 6 1/2 years in a small custom shop. The production wasn`t cheap either, it cost over $150,000 to build. Today, that would be approximately $1.5 million. 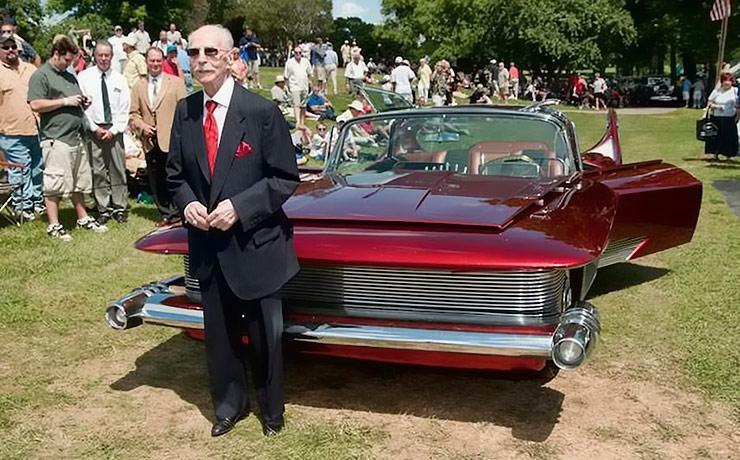 The car was originaly built by Ron Clark and Bob Kaiser (Clarkaiser Custom Shop – first custom shop in Michigan).They were ahead of their time with this vehicle and others. The car was all hand hammered, and with all the compond curves, it was a real challange. No power tools were used on that car. The only body production part on the car was the windshield. Like the exterior, virtually everything inside was custom fabricated, apart from the steering wheel and the bucket seats. 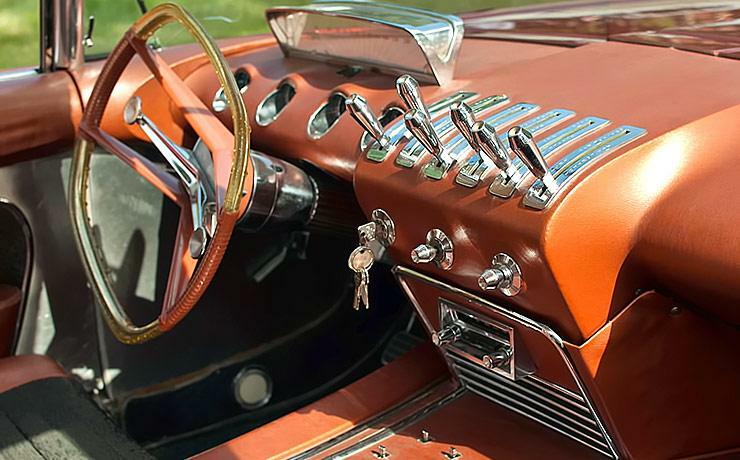 A pair of Pontiac bucket seats were trimmed in bronze leather and fabric to match the interior. The dash panels feature a freestanding, see-through speedometer and four recessed gauges. There is also a unique six-lever control panel on top of the dash for transmission, wipers, lights and so on.